This week, Fon took center stage at South Summit in Madrid. It is the biggest technology startup conference in all of Europe, bringing together some of the most promising companies and international investors. Fon’s CEO Alex Puregger was selected as an industry expert to speak about making the move from startup to international, joining a panel titled “Los Conquistadores: Scaling Internationally out of Europe”. Other speakers also highlighted Fon as a success story. Skype founder and Atomico CEO Niklas Zennström supported and believed in Fon from the very beginning, and we were the first Spanish company that Atomico invested in. The venture capital leader stressed that tech startups in Spain are really thriving, constantly taking their ambitions to the next level. Fon is proud to be recognized as an example of that! 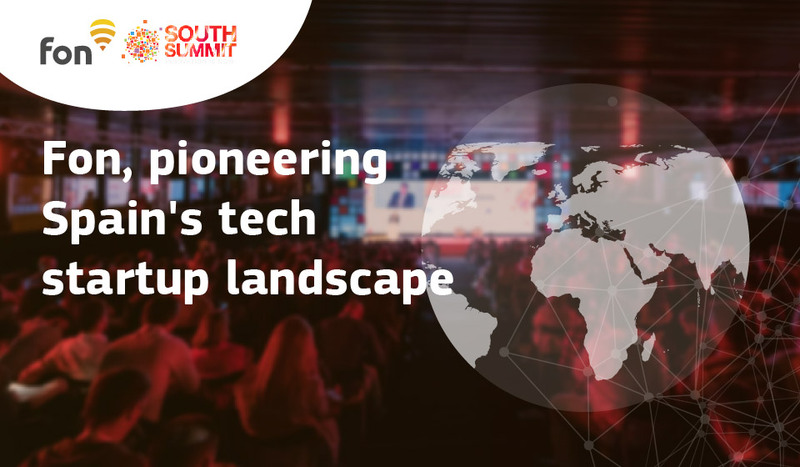 Born and raised in the Spanish capital, Fon’s presence at South Summit in Madrid comes full circle. Fon is known as one of the greatest innovators in the WiFi industry – in 2006, we started out with the disruptive idea of creating a global community WiFi network. The idea caught on, quickly capturing the attention of big-name companies and investors worldwide. After winning the support of industry leaders like Skype, Google, BT, Deutsche Telekom, and Qualcomm, along with investors Atomico, Sequoia, Index Ventures, and Coral Group, we evolved quickly from startup to international player. We’re always adding new countries to the map, and are now present in five continents, in countries like Japan, South Africa, Brazil, Australia, and nearly all of Europe. Now at over 20 million hotspots across nearly 20 countries worldwide, we have our sights set on the future. We continue to see big opportunities for growth, expansion, and major partnerships in the coming months – so stay tuned!